Your AAMCO Transmission and Automotive Repair of Plano is an independently owned and operated repair shop, which means you get the best of both worlds. We are your friends and neighbors, so giving you the highest quality care is more than just a professional pledge, it’s a personal commitment. We drive the same roads you do and we take pride in seeing cars on the road 10’s or even 100’s of thousands of miles after we’ve worked on them. And because we know we’re likely to see you around, we strive to give you the friendliest service possible. And because we’re an AAMCO-affiliated shop, we have access to the tools and techniques that can help us keep your car on the road that long. 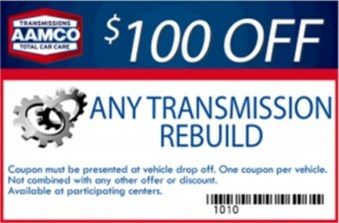 AAMCO has been the most trusted name in transmission repair since 1963, and AAMCO of Plano draws on these years of experience to give you the highest quality repair possible. A recent survey showed that over 95% of cars serviced with major repairs at AAMCO are still in service with many reaching the 100,000-mile mark. We are experts at manual and automatic transmission repair and maintenance. We work on all domestic and imported cars, trucks, and SUVs. We always use the highest quality parts, equal or superior to the parts used by the manufacturer. We never use junkyard parts. And we stand behind our work, with a minimum of 90 days warranty for minor repairs, and most repairs are warrantied for at least a year. This is a nationwide warranty, so you can take your car on the road with no worries. 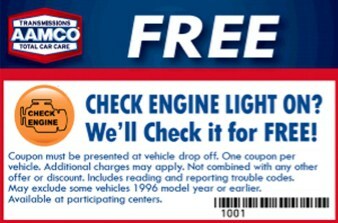 If you have problems with our repairs, the local AAMCO shop will fix it for free. 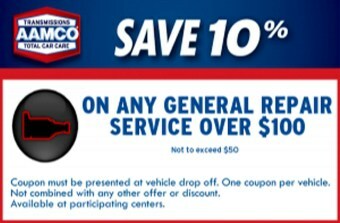 If you have a car that needs immediate attention, or are just looking to get regular maintenance done, AAMCO Transmission and Automotive Repair of Plano can help. Please call us or schedule an appointment online.